A OnePlus employee conducted a Twitter poll similar to what Xiaomi did a few days back. 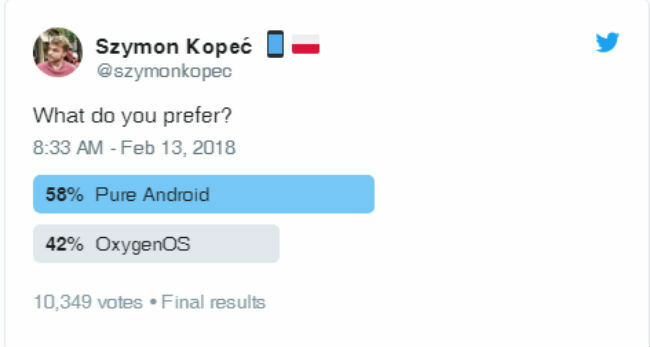 OnePlus CEO commented on the Twitter poll to say “Don’t delete this poll,” even though Oxygen OS lost to Android in the poll. Following on the heels of Xiaomi, OnePlus also conducted a Twitter poll pitting its OxygenOS against stock Android. The poll was not conducted on the official OnePlus Twitter account, but was instead posted by a OnePlus employee. 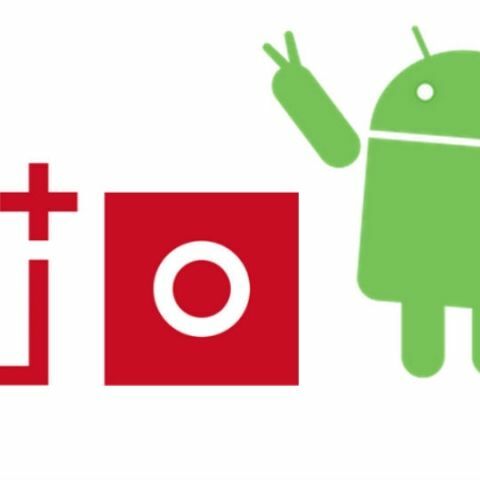 When it was posted, OnePlus’ Oxygen OS was speeding ahead of Android initially, however, stock Android caught up to Oxygen OS and surpassed it resulting is a 58 percent vote share in favour of the Google-made operating system. Oxygen OS, on the other hand, garnered a 42 percent vote share from the Twitterati. What’s interesting to note here is that OnePlus CEO Carl Pei commented on the Twitter poll saying, “Don’t delete this poll,” taking a direct dig at Xiaomi which conducted a similar poll a few days back and then deleted it from its Twitter page after its MIUI lost to Android. It is refreshing to see OnePlus turn criticism of its Oxygen OS into something positive. However, it would have been better if the poll was shared on the official OnePlus Twitter account or by Carl Pei himself. What is the difference between Oxygen OS and Cyanogen OS? Should I wait for OnePlus One or buy Xiaomi Mi3? Why android is better than windows OS ?